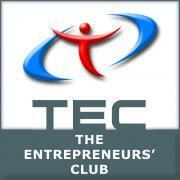 Mark your calendars and join us on March 27,2014 (Thursday) in Palo Alto for our famous TEC Pitch! The event includes a panel of venture capitalists & angels, 10 min pitches from 5 pre-selected companies and extensive networking. RoadAR is developing mobile application for drivers. The app recognizes traffic signs on the fly, understands their position and zone of restriction and warns drivers if they missed a sign and are breaking the rules. Soon it will refine users' GPS tracks by analyzing picture from camera to create road maps automatically. TagMap : See who is around. Real-time social network based on interests and privacy. Kindoma is the award-winning creator of mobile videochat services that help families connect when they can’t be together through shared activities such as reading and drawing. quality service, and the way to free time from grocery routine. Truvolo is a well-connected car solution that makes driving safer and smarter. Our mobile platform provides smart alerts to track auto and driver performance, giving users visibility into how their loved ones are driving, and insight into how their cars are running. Users receive driving behavior alerts, location based alerts, and information on car performance or any potential problems. Truvolo offers its users peace of mind. 80% of consumers still use e-mail to send pictures to their close friends and family. This is not convenient, not engaging and has a lot of limitations. Minutta is family-friendly photo sharing app, that turns pictures from your phone into personalized heartwarming greetings to send privately. With 30 mln existing users in Russia, we prepare for launch in US to bring some healthy disruption. Playlist is creating the largest community for sharing music playlists. Recently relaunched to its 60M registered users, Playlist originally grew to 25M registered users faster than Facebook. This phenomenal growth was driven by people creating and sharing their playlists, or music identities, across the web. With enthusiastic support from the record labels, Playlist’s revamped service offers personalized radio and will enable users to Add to, Listen to, and Share music playlists anywhere.